German Finance Minister Wolfgang Schaeuble has acknowledged the possibility of introducing a parallel currency alongside the euro, in case negotiations with creditors fail, said Bloomberg citing sources familiar with the matter. 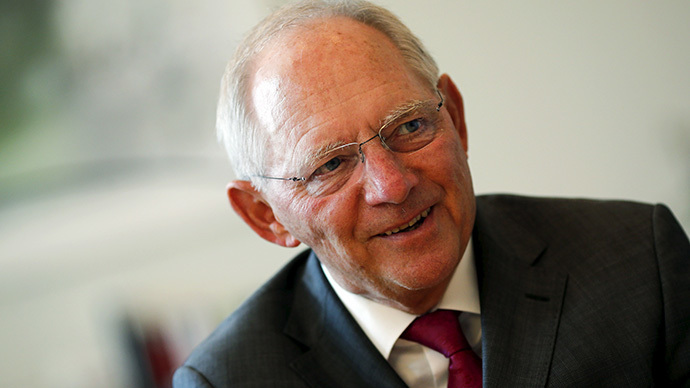 Schaeuble reportedly made the remarks at a private gathering with other financiers of the EU. The minister is said to have cited the example of Montenegro, which is in fact using the euro without being a member of the Eurozone. Although Chancellor Angela Merkel has repeatedly stressed the goal of keeping Greece in the Eurozone, Schaeuble does not exclude an Athens exit from the monetary union, according to Bloomberg sources. In February, Goldman Sachs analysts said currency arrangements in Cyprus, Montenegro and Kosovo could become a possible scenario for “hybrid situations that could emerge in Greece.” They said there was a possibility that loan certificates, or so-called IOUs in Greece, could be introduced to deal with the crisis. Such receipts could be used for internal purposes in the country. Greece has until June to reach a deal on the new bailout program with the Troika of international lenders. On May 11 Greek Finance Minister Yannis Varufakis said that the financial situation in the country is in a state of emergency. According to his estimates, a payments crisis could develop within a few weeks, if the liquidity issue in Greece is not resolved. However, on Tuesday Varoufakis said the Greek government is closer to reaching a deal with the Troika of creditors. The Greek government expects to sign an agreement with lenders within the next 10 days, said government spokesperson Gabriel Sakellaridis on Friday.